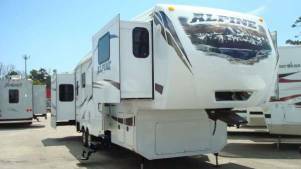 2013 Alpine Keystone - SOLD!!! Keystone Alpine's new Front Living Room model. Huge Shower, Huge Living Room, Huge Kitchen, Dinette Table camp side window, and Alpine's newest features, countertops and all 2013 Standards and Features. SOLD!!! Keystone Alpine's new Front Living Room model. Huge Shower, Huge Living Room, Huge Kitchen, Dinette Table camp side window, and Alpine's newest features, countertops and all 2013 Standards and Features.